Can blockchains replace retail giants like Amazon and eBay? 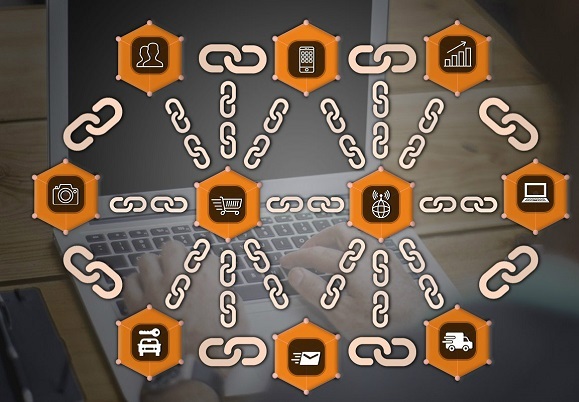 Blockchain tech is causing a massive rethink in how the internet can be used across all sorts of applications – from social networking, to financial transactions, to establishing binding contracts, and more. I have written before how blockchain technologies are disrupting industries from finance, to entertainment, and even in ending global poverty – all through startups that have leveraged on smart contracts in rebuilding industries from scratch. For example, Smart City initiatives like those in Singapore include proptech upstarts that let users sell real properties through the blockchain – all complete with the contract, cryptocurrency payment, and transfer of title. It’s a matter of time until these smart contracts are accepted as the real-world equivalent of an actual paper-based land title. What I have not yet touched on is how blockchain technologies can make a big impact on small and practical things that we do on a daily basis. I’m thinking of things like buying and selling of goods and services. Case in point: Do you remember the time when e-commerce was still a novelty? Now, you probably buy stuff online on a regular basis. It has probably crossed your mind at one point: Will blockchains eventually replace the likes of Amazon, eBay, Facebook, Netflix, Spotify, and just about any other major service that we use on a regular, if not daily, basis? When Craigslist.org launched in 1995, it revolutionized how people bought and sold products and services. It focused on locales, and it let virtually anyone buy and sell their goods. It was an online marketplace decades before the term “marketplace” came into fashion. There were certainly limitations. For one, the platform simply connected buyers with sellers, and did not provide a way to exchange payments. Secondly, there was the security issue – the platform has been known as a haven for scammers, since there was no way to verify or rate buyers and sellers. Its contemporaries like Amazon and eBay offered some advantages. For example, eBay revolutionized online retail through bidding, and it even acquired payment processor PayPal to facilitate payments. Amazon started out with books and eventually led to the decline of the traditional bookstore, but it later on branched out to just about any product imaginable – all done through a marketplace where sellers can ride on the platform. Again, there are limitations, which are mostly based on the fact that the platforms were centralized. Merchants pay hefty fees for accepting payments online. And even with fraud protection, there are still opportunities for either seller or buyer to cheat the other parties – whether through counterfeit goods, unwarranted chargebacks, or even outright scamming. In addition, these platforms do not offer a social dimension to the trading process, which is too bad, because this social aspect can help establish trust across the players in a marketplace platform. When Bitcoin launched in 2008, it was all about cryptocurrencies, which means the best use case scenario was for payments, money transfers, and such transactions. However, when newer-generation blockchains came about, these already started supporting more than just financial transactions. Ethereum, for one, supports smart contracts, and through sidechains, it can already support sending, storing, and sharing of data and rich applications. Transacting through the distributed ledger has a multitude of advantages over the legacy centralized systems. For one, it is more secure, as the transactions are confirmed by each and every node in the blockchain. Secondly, it is cheaper and faster. All this leads toward one big benefit: the user wins. And in the retail industry, by user, we mean both sides of the transaction – buyers and sellers. Over at Hackernoon, Louie Bacaj said that “eCommerce on the blockchain would be an interesting animal,” citing the benefits of transparency and decentralization. He says that while lower fees and the loss of middlemen would be the more obvious benefits, there are other, not-so-obvious advantages as well. These include added visibility and the potential for micro-transactions such as users earning by viewing and clicking ads and through cash-backs and referrals. Soma, an up-and-coming platform for social buying and selling, aims to leverage on the decentralized nature of the blockchain in revolutionizing retail. The name stands for “Social Marketplace”, and through its social community token, users are incentivized towards building social capital through tokens and cryptocurrency rewards. Simply put, users get incentives from being active on the social marketplace – by posting their goods and services online, engaging with other users through comments and reviews, and more. In addition, Soma also offers users an opportunity to earn tokens and cryptocurrency through arbitration – a third party can act as an arbiter if there are any transaction disputes. Then as with any blockchain-based service, Soma’s marketplace also includes a fully-auditable trace of product history and source. Its patent-pending “interactive item card” for each product contains all information inserted by users in a chronological chain, which could include ownership data and item condition. Again, the aim here is to improve the trust factor in buying and selling through better transparency. In short, Soma wants to bring back the trust factor in marketplaces by adding in the social dimension. And all this is done by giving users an incentive for being more social. The fact that the platform is built on the Ethereum blockchain also makes it easier to facilitate payments through either Ether or Bitcoin, and the company is also planning to facilitate payments through cards, fiat currency and PayPal. “The vision of the Soma community is to provide a platform that sets up a true freedom of trade, without any redundant actors that do not increase any value in the chain of transactions,” says Soma co-founder Jukka Hilmola, stressing that such a marketplace can help ensure better value and liquidity for producers and traders across the globe. Another potential benefit of blockchain technology in retail involves the fight against counterfeit goods. In Russia, the largest online retailer, Ulmart, is considering blockchain technology in stamping out counterfeit items that regularly appear on its marketplblockace. According to a report, the company is planning to track a product’s path from the manufacturer to either the e-commerce fulfillment center or store. With the tracking and auditability from blockchain technologies, the company and its users are thus able to determine if products are authentic. This can also be used to keep track of product ownership and changes thereof. Blockchain technology may change the way we interact and do business on the internet, and this can be done so in both big and small ways. Marketplaces like Soma aim to democratize trade through decentralization, while e-commerce players like Ulmart gain value through better accountability. I think in the future, we’re likely to see more and more companies adopt the Blockchain technology. By offering even the smaller players equal footing, in terms of trust, accessibility, and liquidity, a social marketplace offers to give value where it is due, thus phasing out the middleman in the process. Meanwhile, for established players and brands, blockchain tech can help phase out counterfeiting, thus protecting intellectual property and helping improve innovation.